iOS 12 brings speed improvements you can actually feel. 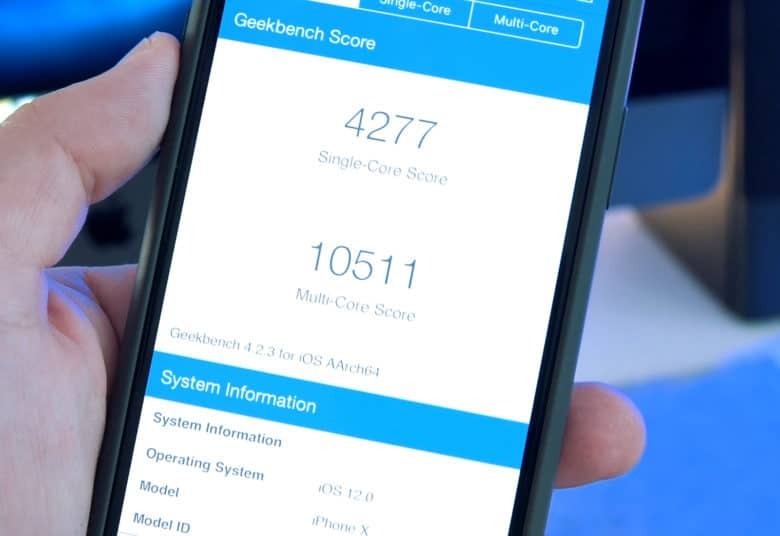 Running a Geekbench test on my iPhone X shows a small increase in single-core performance and a pretty hefty jump in multi-core. I actually see quite a difference. And, since the iPhone X isn’t a slow phone, I can’t wait to try out iOS 12 on an older iPhone or iPad. 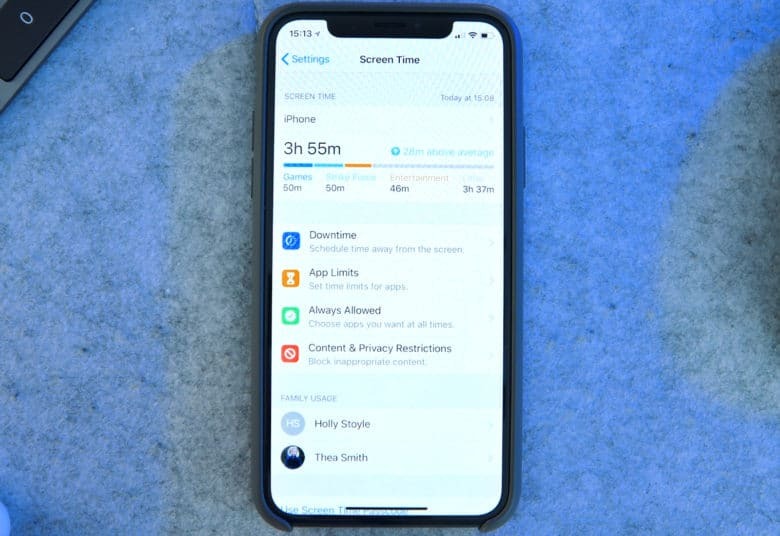 While performance was one of the main focuses for Apple in iOS 12, that doesn’t mean there aren’t some awesome new features. Apple finally gives us grouped notifications. Let’s start from the lock screen and work our way in. Right off the bat, you can see that Apple heard our complaints about notifications and finally grouped them together. 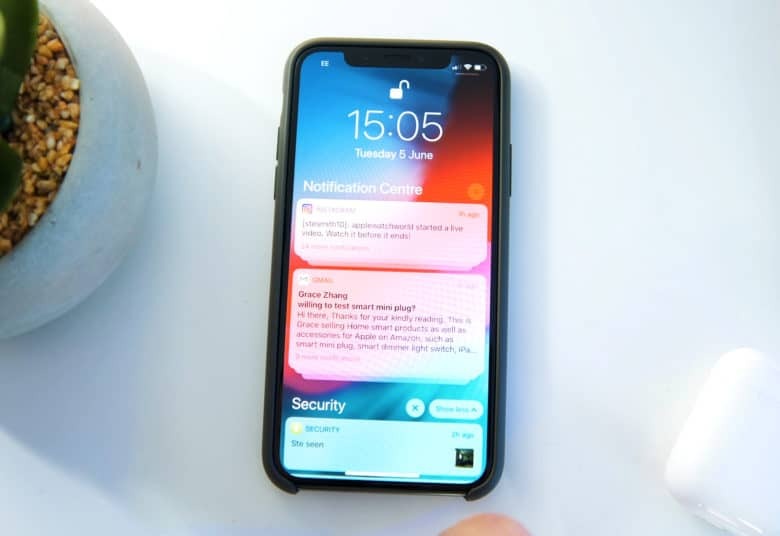 So, rather than infinite lists of texts, Facebook notifications and offers from apps, iOS 12 stacks them together to make Notification Center and the lock screen a much simpler place. The new design organizes them by app, and also by recipient or topic. You can dismiss them one by one as always, get rid of whole groups, or clear all of your notifications at once. A new feature called Instant Tuning means you can send a notification straight to Notification Center, then hide it from the lock screen by choosing to “deliver quietly.” You can also silence notifications from certain apps right here, so you don’t need to dig around in the Settings app. On my home screen, everything looks pretty much the same (with the exception of that new iOS 12 wallpaper, of course). However, Apple did update a few of its native apps. The News app gets a bit of a refresh in terms of design — nothing too major — although the iPad version gains a sidebar that helps you see all the categories you’re interested in super-easily. Apple also dropped the “i” from iBooks, now calling its app simply “Books.” More importantly, the app got a complete redesign to make it easier and more enjoyable to use. It benefits from a brand new e-book store (which seemed to be a bit of a theme at this year’s Worldwide Developers Conference), along with a new “reading now” section that shows a preview of the book you were reading most recently so you can jump straight back in. Apple also updated its Voice Memos and Stocks apps. Voice Memos has been totally rebuilt to be cleaner and easier to use. It also adds iCloud syncing, so no matter which iOS device you use, your memos will stay in sync. That’s totally handy, since the iPad now gets the Voice Memos app. Apple’s Stocks app also comes to the iPad in iOS 12. It’s been completely redesigned as well, bringing more detailed information (including after-hours pricing) alongside Apple News integration, which offers curated business stories to help you predict an upcoming rally. Apple’s Photos app gains some cool new search features in iOS 12. Now you can search for events, business locations and so on to really narrow down your hunt for particular images. A new “For You” tab serves up Memories, featured photos, suggested effects and suggestions for who you might like to share your images with. iOS 12 includes Apple’s new Measure app. It takes advantage of Apple’s ARKit platform to let you measure objects, shapes and lines using the camera on your iPhone or iPad. Apple also moved the level to the Measure app from the Compass app, which makes sense. Apple demoed Measure during the augmented reality segment of the WWDC 2018 keynote alongside ARKit 2.0, which brings improved facial tracking, more realistic rendering and 3D object detection. It also brings support for shared AR experiences, which will let us enjoy augmented reality games with friends. You’ll find a ton of new features and updates within Settings just waiting to be discovered, starting with Do Not Disturb. Apple added a new Bedtime mode that hides notifications so they won’t distract you if you wake up in the middle of the night. They’ll then return to the lock screen in the morning (depending on your preferences). You can also choose when Do Not Disturb ends, so you can invoke it for an hour, until evening or the end of an event, or until you arrive at a certain location. Screen Time allows you to see just how much time you’re wasting on Facebook. Below Do Not Disturb, you’ll find Screen Time. This new feature lets you specify how much time you spend inside of an app. If you’re wasting too much time in Facebook, you can set yourself a limit each day and Screen Time will tell you when you’re getting close to the end. When you hit your limit, Screen Time will prevent you from seeing the app, although you can choose to ignore that. You can also set limits for your children if you want them to unplug at a certain time each night. Your settings will sync across all your household’s iOS devices. While Siri didn’t get the big overhaul a lot of people hoped for, Apple’s AI assistant did gain a new trick — Siri Shortcuts. Now Siri can perform all kinds of actions when you say simple commands. For example, announce that you’ve lost your keys, and Siri will use the Tile app to locate them. Or say, “I’m heading home,” and Siri might load your Maps app and your favorite podcast. You can basically teach Siri to carry out a bunch of different actions triggered by custom commands. Once set up, they will work on your Apple Watch, HomePod and so on. For Apple CarPlay users who don’t dig Apple Maps, iOS 12 brings support for third-party navigation services such as Google Maps and Waze. It’s nice to see more apps making their way to CarPlay. Face ID now supports alternate appearances as well. Within the Face ID and passcode settings, you’ll find a new entry to allow for multiple people to unlock the iPhone X. The iPad takes a step closer to a home button free future. 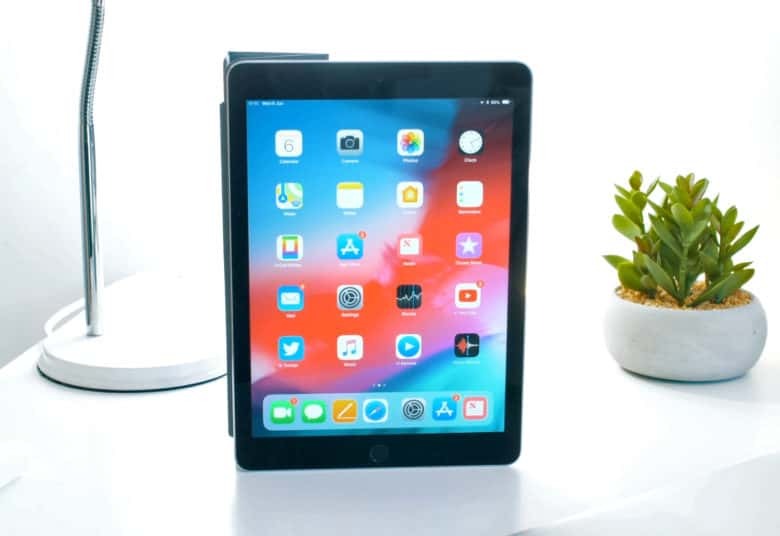 There’s even more evidence of a buttonless iPad when you take a look at iOS 12 on an Apple tablet, as you can now use the same gestures as the iPhone X. You can swipe up to exit an app, swipe up and to the right to bring up the app switcher, swipe down from the top right for Control Center, and bring down Notifications from the top left side. Since I own an iPhone X, this is something I’ve been praying for. My muscle memory has completely reprogrammed itself to all of the new gestures, leaving me in a mess trying to use older iPhones or iPads. They work great here and make the iPad even easier to use. If you’re not an iPhone X user, don’t worry — you’ll pick them up really quickly (and you’ll never want to go back). There are tons of other new iOS 12 features Apple didn’t mention in its WWDC keynote, such as a new automatic software update toggle within settings, a Face ID retry option, more colors for Markup, new South African and Irish accents for Siri, low-powered Siri, and favicons in Safari to name just a few. 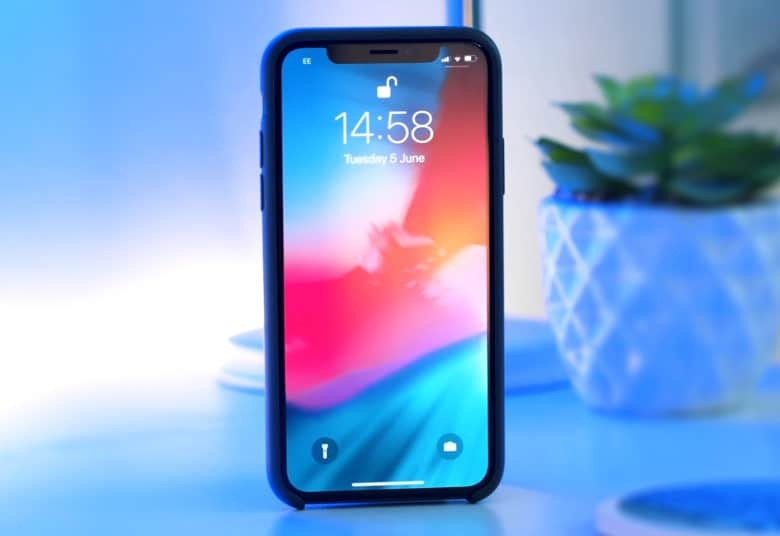 What do you think about iOS 12? With its focus on functionality, stability and performance, iOS 12 isn’t the most revolutionary upgrade ever. But it does make iOS devices better — and that’s ultimately the name of the game. What new features in iOS 12 get you excited? Is there anything you’re disappointed to not see? Start typing away in the comments below. Editor’s note: This post was originally published June 6, 2018, during iOS 12 beta testing. It has been updated for the public iOS 12 release.